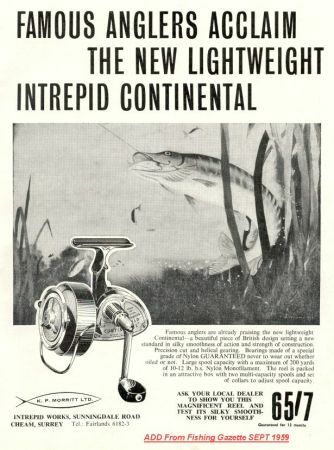 Adverts and examples of the Intrepid Continental fishing reel. 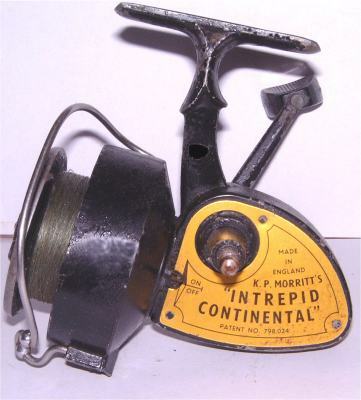 Available in green right and left hand versions and later the black ambidextrous. 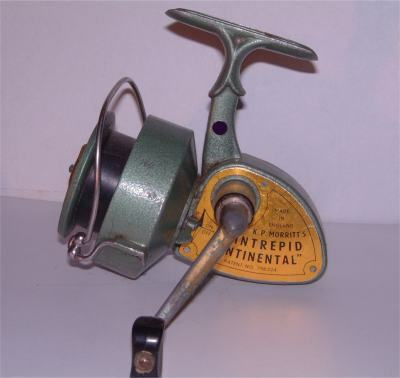 The Ambidextrous was a peculiar reel there was no direct connection from the right hand handle to the gear wheel it was merely a slot and pin cam type action ,the left hand handle was identical to the ordinary version. 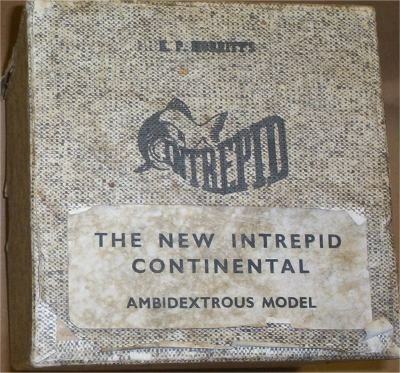 he boxes for all are identical the ambidextrous version had nothing more than a sticker showing the model it was! 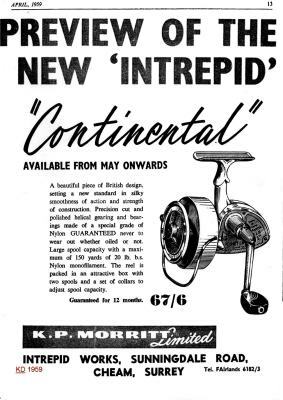 Have you a different colour Continental reel you could let us have a picture of and, of course, any other Intrepid related material?